I, like countless other Americans am glad that the 2016 presidential election is over! 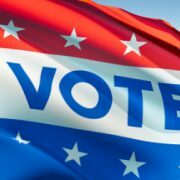 There are countless reasons and factors that determined the winner of the 2016 Presidential Election. Congrats winner: 50% of the country didn’t vote for you. One of the main reasons I believe that Donald Trump won the presidency is this: He uncovered pain of the voters, addressed it and promised he’d fix it. There were many voters who felt they were forgotten and left behind by Washington, DC in this current economy. Fair or unfair, Trump continually magnified his voter’s “pain” and said he’d do something about it. It remains to be seen if he will keep his promises and fix America’s “pain” but I digress. How about you? When you’re reaching out to potential clients, do you simply throw up a bunch of features and benefits and hope something sticks? Or do you uncover your sales prospects “pain”, probe deeper and magnify it and show how your solution will solve their pain? If I have a splitting headache, I’ll do about anything to relieve that pain. It’s the same with your sales prospects. Uncover their pain, address their pain and tell them specifically how you’re going to fix it, and they’ll “vote” with their budget. 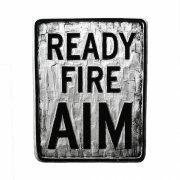 Prospecting Targets: Ready, Fire, Aim? In order to be successful at setting appointments via prospecting, cold calling, or sales calls, you must target well. http://www.connect5000.com/wp-content/uploads/2016/07/blog-pic-120-1.jpg 500 500 Ray Ruecker http://www.connect5000.com/wp-content/uploads/2016/07/connect5000.png Ray Ruecker2016-11-03 11:00:082016-11-03 16:18:33Prospecting Targets: Ready, Fire, Aim?